Bod Gwynedd is a 5 star rated, modern, relaxed, adult only sanctuary from the outside world in Betws-y-Coed, in the Snowdonia National Park. Enjoy a restful night in our modern, comfortable rooms and wake to a hot, powerful shower followed by an extensive choice of cooked and cold breakfast options that will set you up for a full day exploring the many attractions of Snowdonia and the North Wales coast. Here are some of the facilities you will find at Bod Gwynedd. Ideally situated to enjoy the many attractions of the Snowdonia National Park and North Wales including mountain walking, Snowdon, ambling in the forests, pondering near lakes, getting wet at Surf Snowdonia and exhilerated at the many Zipworld adventures to name a few. 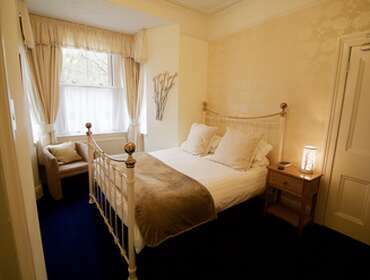 1st floor room with King-size bed, en-suite, tea/coffee making facilities, biscuits, chocolates and bottled water. 24 inch SmartTV with DVD player and high speed Internet. Views over river and forests. A full cooked breakfast with cold options is included in the price when booked direct.Health, allergy and dietary preferences arecatered for. This room is also available for single occupancy - see separate listing. 1st floor room with a Super-King size bed. En-suite, tea/coffee making facilities with fresh milk, biscuits, chocolates and bottled water, 24 inch SmartTV with DVD player and high speed WiFi.Views up the valley and of the surrounding forest. An easy access, Ground Floor Room with a King-Size bed, en-suite facilities, tea/coffee making facilities with fresh milk, biscuits, chocolates and bottled water. 24 inch SmartTV with DVD and high speed Internet. 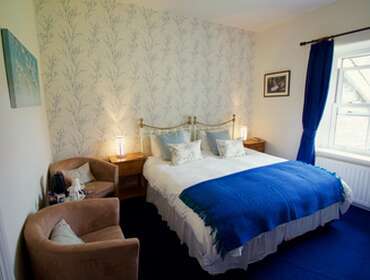 This room is also available for single occupancy. Please see separate listing.